There's nothing quite like having some glorious images of Gears of War 3 on you computer as desktop wall paper is there? Wall paper, it's like better than collection stamps! With your mouse or trackpad, click on the image you like so it enlarges. Then right click on the wallpaper image and 'save as'. Once the file is saved to your computer, open it up Window's Control Panel and select change desktop background (or some variant) select the saved file and the wallpaper will be up on your desktop faster than you can say "Bring It!". 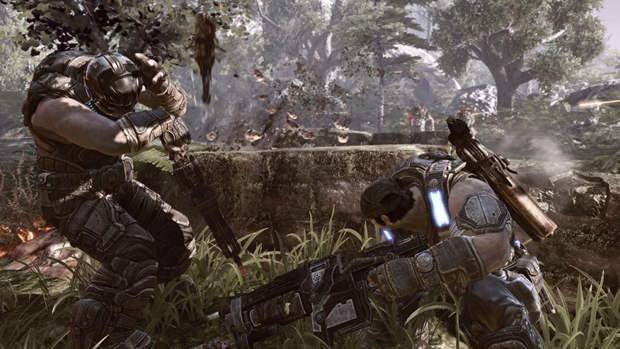 Some programs might offer the short cut that when you do the 'right click' you get the option to make the Gears of War picture your desktop background straight away. Do it! 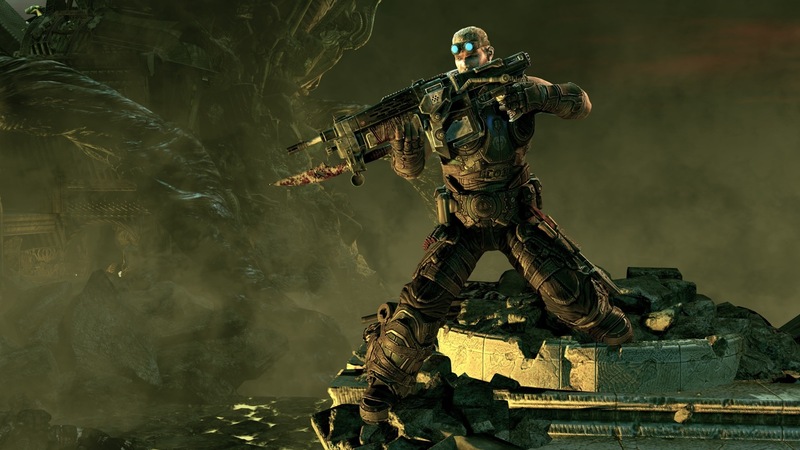 The above wallpaper image is of Baird, the angry and bitter member of Delta Squad. Next up is Anya Stroud sticking it to the locust horde. 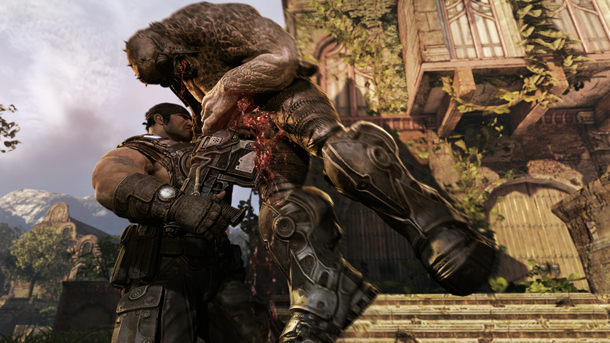 Mr Gear of War himself, Marcus Fenix, taking down a lambent critter. Get Some! Below: Some exploding guts as your wallpaper..
Marcus quickly determined the locust ate worms for breakfast. 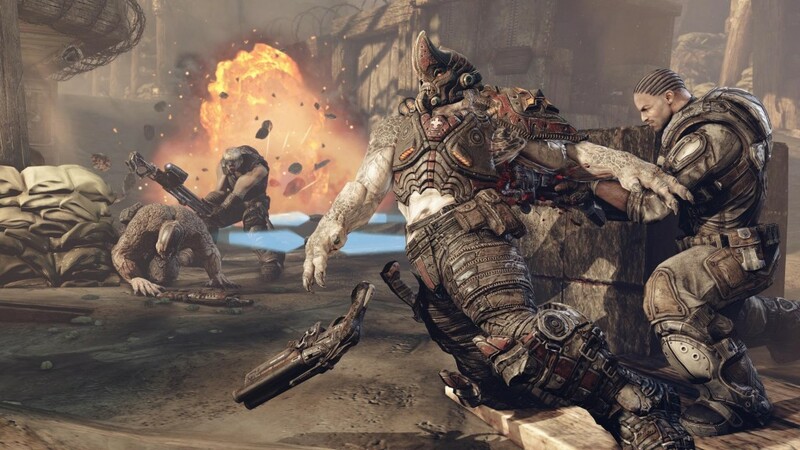 Check out my Gears of War 3 review or how I think Gears of War 4 could play out. Video of Dead Space 2's Hand Cannon: Bang! Bang! 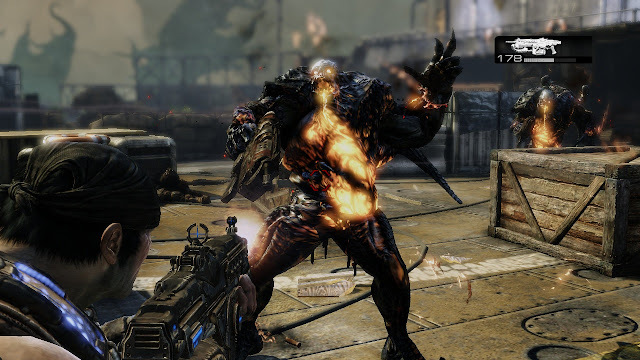 Gears of War: Exile - Kinecting with fans? 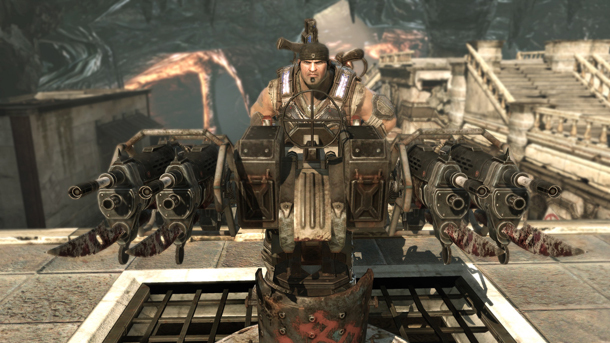 Does Clay Carmine live in Gears of War? Xbox 360 Beats Every Thing! Why did Bungie trademark Seven Seraphs? What do we know about Gears of War 3? 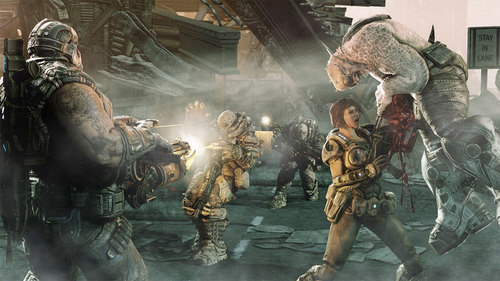 How do I get into the Gears of War 3 Beta?